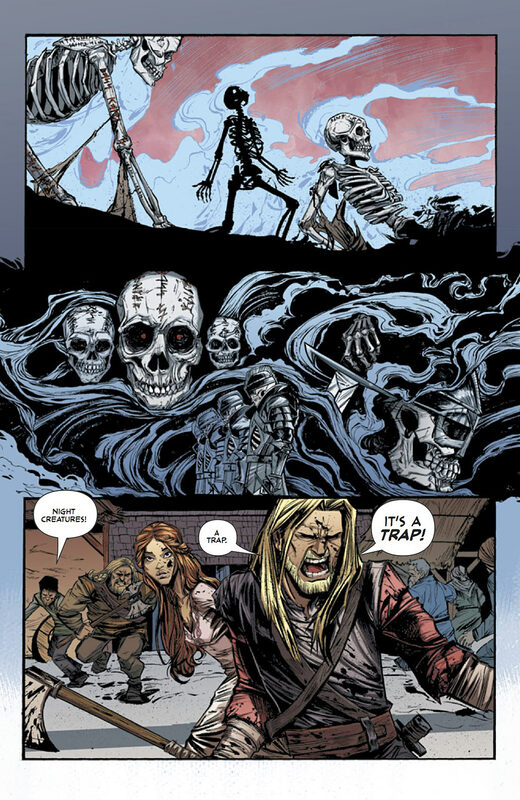 Helheim is a new comic which its first issue circulated about a week ago by Oni Press. Its creative team consists of writer Cullen Bunn, Joelle Jones who does the pencils and the colorist Nick Filardi. 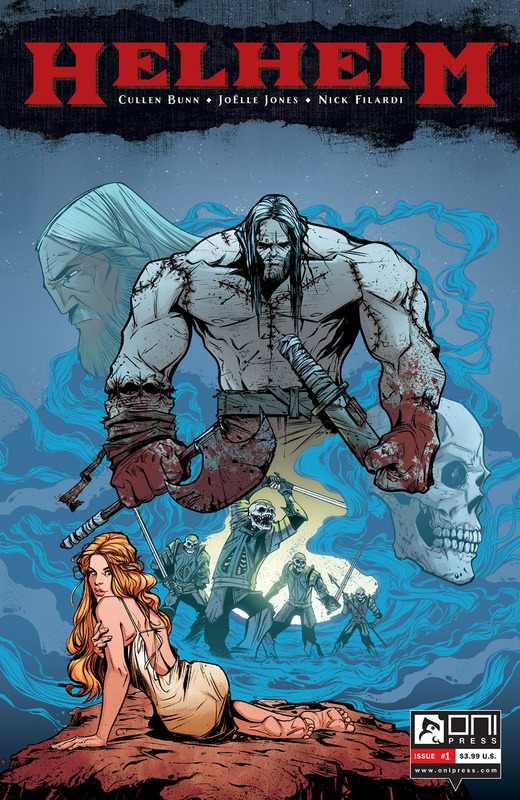 Helheim was pitched as a story by Cullen Bunn and what a great idea he had! Previous to its release I didn’t know much about Helheim except that it was something new by Cullen Bunn mentioned here and there on the internet. I read Cullen’s Venom & Fearless Defenders which I like very much so I decided to give Helheim a chance! After all writers tend to let their talent free on comics which aren’t burden with decades of continuity and I was in for a big surprise! A trap in Viking village! I always go through the pages of a comic just to get a thrill and level up the anticipation of reading it. So first impression was OK! Yet another comic nicely drawn placed in Scandinavian territory with its warriors and battles! Actually it was a lot more. As I was reading it, each time when I thought that the story was at the end it kept going on in an unpredictable way; this happened three times and gave me such a thrill especially because it was the number one issue of a new comic! Protagonist, cast, background and villain were all delivered in this issue but not revealing all elements and aspects leaving you the need for more! Cullen Bunn has succeeded in creating a small part of a Viking world, combining a warrior’s need to fight and self-sacrifice, love and how it can twist you, loyalty and how far you will go to keep it and magic used in all the wrong ways or maybe not! Visually Joelle Jones captures you with her storytelling, without being extravagant but keeping it simple and focusing nicely on the characters expressions something that I love in an artist’s work! Even the coloring by Nick Filardiand the lettering by Ed Brisson tie in beautifully with the rest of the artwork giving a wholesome sense of a well done comic! I could go on and on about Helheim but I would be giving out spoilers. So for those who haven’t read it yet just go and get it and you will be truly entertained …and don’t forget this is the #1 issue of a much promising new comic book!